My Uncle who is very ill stopped by my parents house while I was at work the other day. He dropped off a shot gun that was his fathers (my grandfather, mothers side) and wanted me to keep it in the family. I felt honored to be given this family heirloom. I don't know anything about this gun other than it is a Single Shot Remington (12GA). 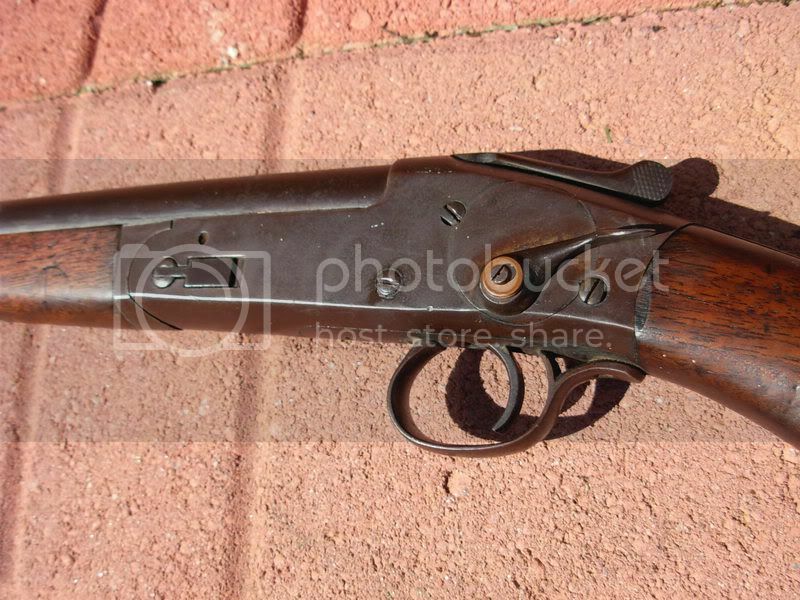 I looked up on Remingtons Website about gun history and it appears to be a Model 1893 No.3, but I am not sure. They were made between 1893 & 1903, 86,000 produced. Serial Number Blocks 1,001 - 90,000, also it was produced in NY. 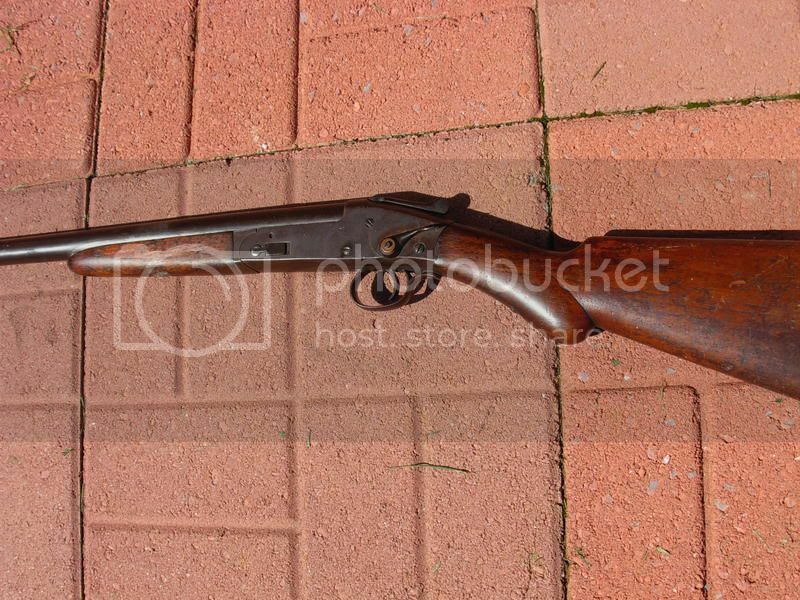 The Model 1893 Single Barrel Shotgun (or No. 3) took down by removing the forearm with a Purdey-style push button on the end of the forearm. In 1902 Remington introduced a new gun the Model 1902 Single Barrel Shotgun (or No. 9) that took down by means of the removable hinge-pin, and featured an automatic ejector. Your gun is a No. 9. In 1902 the No. 9 was offered in 12- and 16-gauges while the No. 3 was still being offered in 10-, 20-, 24-, and 28-gauges. By the 1903-04 catalogue the No. 9 was being offered in 10-, 12-, 16-, and 20-gauges while Remington was still trying to move out the No. 3 in 24- and 28-gauges. By the 1904-5 catalogue the No. 9 was offered in all six gauges. In early 1910, Remington decided to get out of the break-open shotgun business and concentrate their efforts on their new autoloaders and pump guns. They sold their entire inventory of single and double-barrel shot guns to Norvell-Shapleigh Hardware in StLouis in February. Thank you for the quick reply and the information, it was very helpful! Serial Number Blocks: Approximately 90,000 – 451,000 - There were several blocks used during production of this model. The serial # on this gun appears to be OL43990. Unless that L is a 1?? 43990 looks like it would be a Model 3 serial #. 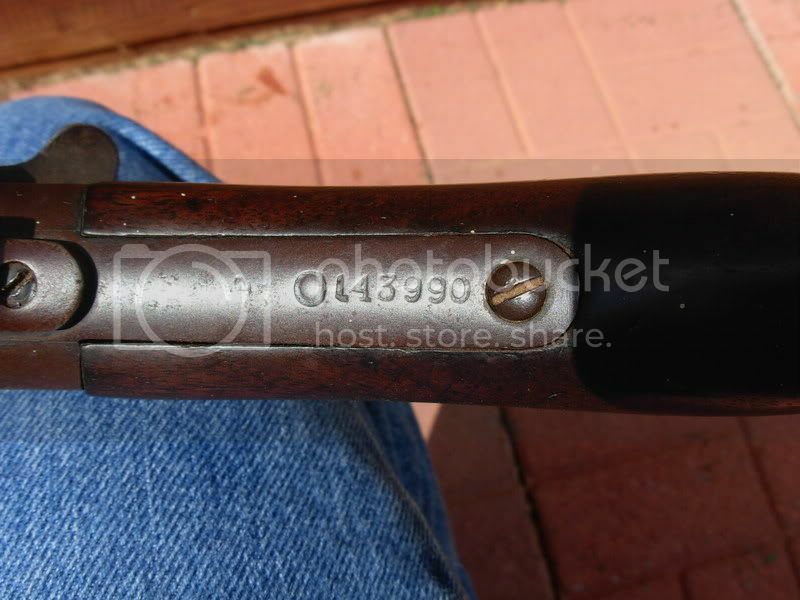 On Remingtons web site it talks about the automatic ejector on the Model 9 but never mentions the hinge pin on either models description. Weird. I guess I can check the ejector. The O is a stock letter for the Remington single-barrel guns like the P and Q were used ahead of the serial number on the doubles. In my mind I can make a case for part of the crosslets being broken off the left side of the 1 stamp making it look like an L.
Good observation. Do you think that 143990 would put it around the 1903-04 production year then? Since they went from 90,000 to 451,000, (using several blocks).